The 10K Open Channel Muffin Monster® sewage grinder is compact, yet tough on solids! This sewage pump station grinder fits into areas with limited space requirements while still providing the necessary power for downstream protection. Two rows of hardened steel cutters rotate slowly and with incredibly high-torque to grind large solids into small particles that can flow easily through pumps and pipelines. 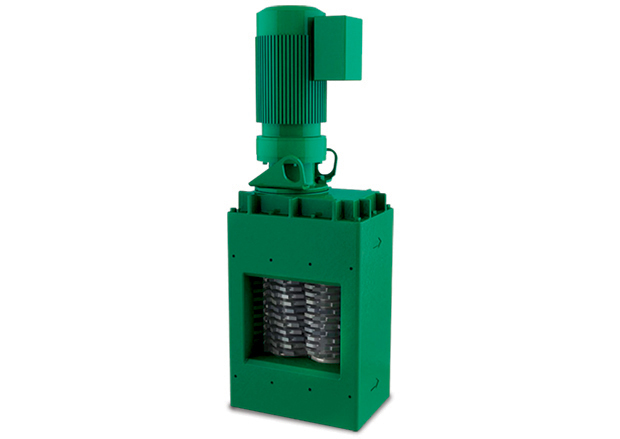 The 10K Open Channel Muffin Monster® sewage grinder is designed to fit within inlet channels to sewage pump stations or it can be mounted within a stainless steel frame at the influent pipe to the wet well. Our Muffin Monster wastewater grinders are used by thousands of towns and cities as well as private institutions like nursing homes, sports stadiums and hospitals to protect their sewage pump stations from unplanned clogs. If you need your Muffin Monster sewage grinders fast, the 10K Open Channel Muffin Monsters are NOW available with the Monster Quick Ship. Click here to learn more about Monster Quick Ship.